Lewis structures are diagrams that show the bonding between atoms of a molecule and the lone pairs of electrons. The s orbital can be occupied by no more than a pair of electrons. A way to represent molecules bonds and electrons is with Lewis structures. They are diagrams that show the bonding between atoms of a molecule and the lone pairs of electrons that may exist in the molecule. Lines are drawn between atoms to indicate chemical bonds. Single lines are single bonds. Double lines are double bonds. Triple lines are triple bonds. (Sometimes pairs of dots are used instead of lines, but this is uncommon.) Dots are drawn next to atoms to show unbonded electrons. A pair of dots is a pair of excess electrons. Pick a central atom and write its element symbol. This atom will be the one with the lowest electronegativity. 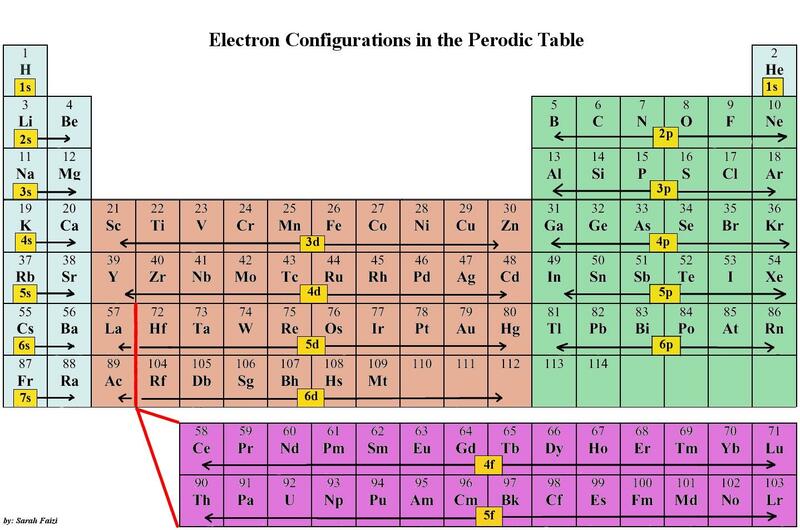 Remember that electronegativity typically increases as you move from left to right across the periodic table and decreases as you move down the table, from top to bottom. You can consult a table of electronegativities to know the values. Then, connect the other atoms to the central one with a single bond. You may change these bonds to become double or triple bonds as you progress. Count electrons, only those in the outer shells. The octet rule states that atoms with 8 electrons in their outer shell are stable. Stick to this rule. Place electrons around atoms starting by placing one pair of dots for each pair of valence electrons. Once the lone pairs are placed, you may find some atoms that don't have a complete octet of electrons. This indicates there are double or possibly triple bonds. Remember, it takes a pair of electrons to form a bond. It is also called electronic structure, and it is defined as the arrangement of electrons in energy levels around an atomic nucleus. According to the older shell atomic model, electrons occupy several levels from the first shell that is the nearest the nucleus, (usually indicated with K) through the seventh shell, (which is indicated with Q ) and it is the farthest from the nucleus. The K–Q shells are subdivided into a set of orbitals, each of which can be occupied by no more than a pair of electrons. There are four different types of orbitals where electrons orbit, named s,p,d, and f, which have different shapes, and one orbital can hold a maximum of two electrons. The p, d, and f orbitals have different sublevels, thus can hold more electrons. 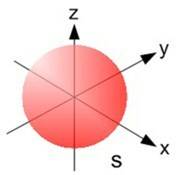 The 1s orbital and 2s orbital both have the characteristics of an s orbital (radial nodes, spherical volume probabilities, can only hold two electrons as seen in figure 1) t, as they are found in different energy levels, they occupy different spaces around the nucleus. Fig 1: A graphic representation of as s orbital. Often, a shorthand method is used that lists only those electrons in excess of the noble gas configuration immediately preceding the atom in the periodic table. For example, sodium has one 3s electron in excess of the noble gas neon (chemical symbol Ne, atomic number 10), and so its shorthand notation is [Ne]3s1. -3: The inner shells should be filled before accommodating the electrons in the outer shells. Electrons are filled in ascending order. For example, the K-shell needs to be filled with the maximum number of electrons it can accommodate before we start filling the L shell. Hydrogen is in the first period and has its only electron in the 1s orbital - 1s1, and at helium, the first level is completely full – 1s2. If we go on the element present on the second period, we need to start filling the second level. Lithium's electron goes into the 2s orbital because that has a lower energy than the 2p orbitals. Lithium has an electronic structure of 1s22s1. Beryllium adds a second electron to this same level - 1s22s2. If we take a random element, Calcium, for example, we can say the following: the first two electrons will go in the 1s orbital. Since 1s can only hold two electrons the next 2 electrons for Calcium go in the 2s orbital. 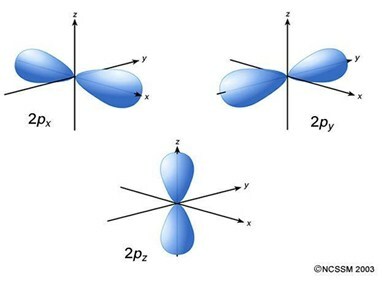 The next six electrons will go in the 2p orbital. The p orbital can hold up to six electrons. We put six in the 2p orbital and then put the next two electrons in the 3s. Since the 3s if now full we can move to the 3p where we'll place the next six electrons. We then go to fill the 4s orbital where we place the remaining two electrons. The Calcium electron configuration will be 1s2 2s2 2p6 3s2 3p6 4s2.